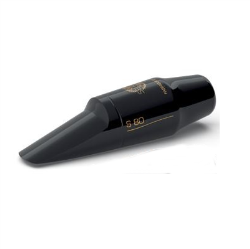 The S80 has achieved an unprecedented level of popularity and is widely regarded as the reference model mouthpiece of today. These mouthpieces are manufactured from hard rod rubber to assure stability, accuracy and consistent facings. They feature a square cross section in the chamber, instead of the conventional arch, and are characterized by a very warm grained, broad, and full-toned sound.